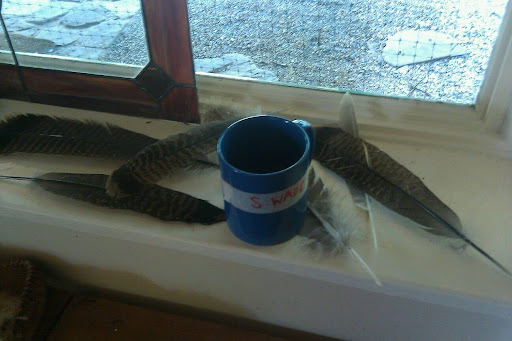 On retreat finding a feather is like finding a gift from the sky, from the ancient past. Birds are what's left of dinosaurs. They are ancient survivors. Forget how puny we are in the universe of space, think how puny we are in time. I forgot to mention the TBC Eco Dharma center. I just know what's on the website, but I hear this is a leading new cutting edge organization in the the TBC.